Notice is hereby given that Council at its meeting held on 28 March 2019 adopted the 2017/18 annual report together with the oversight report. This was in compliance with Section 129 (3) of the Municipal Finance Management Act No. 53 of 2003. For enquiries regarding this advert kindly contact: Sizwe Zulu, at tel. 032 481 4500 during office hours. 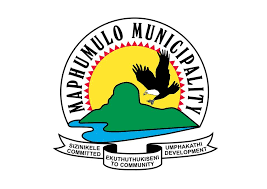 Notice is hereby given that Council at its meeting held on 28 March 2019 reviewed and approved the adjustment of municipal SDBIP’s, in line with Section 54 of the Municipal Finance Management Act No. 53 of 2003. For enquiries regarding this advert kindly contact: Sizwe Zulu, at tel. (032) 481 4500 during office hours. Notice is hereby given that in terms of Section 57 (2) of the Municipal Finance Management Act No. 53 of 2003, the newly appointed Senior Managers have signed their 2018/19 performance agreements within 60 days after their appointments. For enquiries regarding this advert kindly contact: Sizwe Zulu at tel. 032 481 4500 during office hours.